The small city of Lake Forest Park has about 13,000 residents and is situated on Lake Washington’s northern shores. It is located in western Washington’s King County, just north of Seattle. Although it is just miles from downtown Seattle, this is almost completely a residential “bedroom community”. 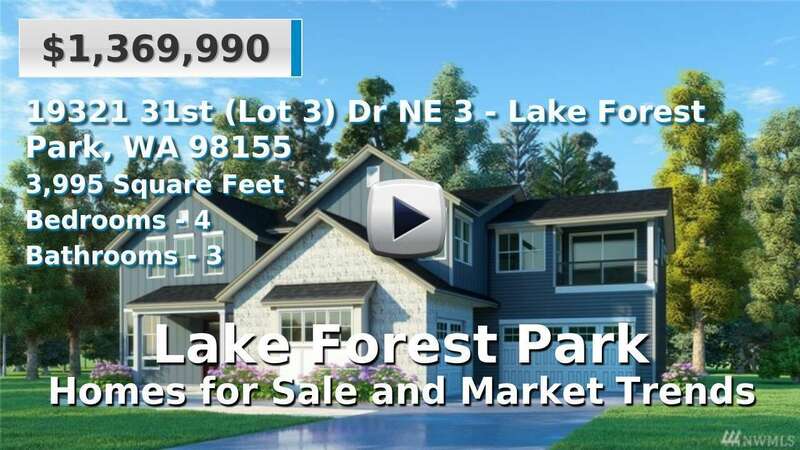 Homes for sale in Lake Forest Park are generally newer than other areas of Washington and many offer waterfront property or views. The typical commute is about 28 minutes. 4 Beds | 2.75 Baths | 3478 sq. Ft.
4 Beds | 3.5 Baths | 2553 sq. Ft.
2 Beds | 1 Baths | 670 sq. Ft.
5 Beds | 2.75 Baths | 3653 sq. Ft.
5 Beds | 2.5 Baths | 3280 sq. Ft.
4 Beds | 3 Baths | 3180 sq. Ft.
5 Beds | 3.5 Baths | 3100 sq. Ft.
4 Beds | 2.75 Baths | 3440 sq. Ft.
3 Beds | 2.5 Baths | 2940 sq. Ft.
2 Beds | 1.75 Baths | 1277 sq. Ft.
4 Beds | 3.5 Baths | 3958 sq. Ft.
4 Beds | 3 Baths | 2011 sq. Ft.
2 Beds | 1.75 Baths | 1460 sq. Ft.